Remember I was saying on Opensys strong free cash flow as against its seemingly weaker Net Profit as it was stuck with needing to continuingly amortize its intangibles. 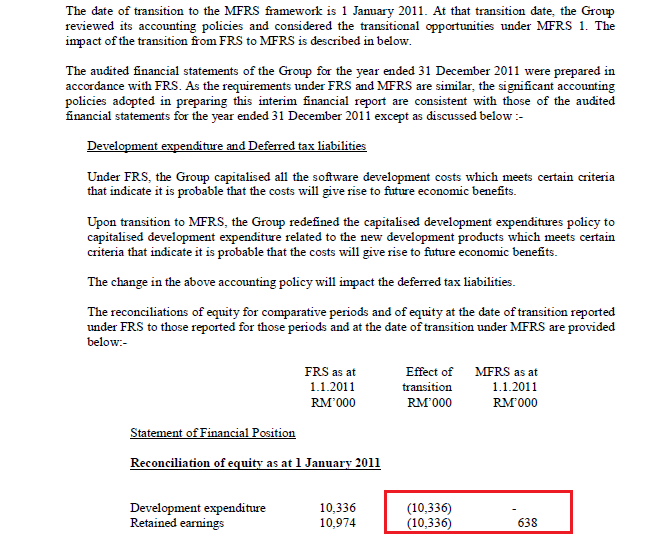 I have even highlighted that one should be looking at its cashflow rather than P&L. Now, you do not need to anymore. Why? Let me highlight below. What is the effect? Balance Sheet has been cleaned especially to its intangible assets. In another word, it is just writing off its development expenditure in 2011. Fundamentals are still the same though. What about P&L? 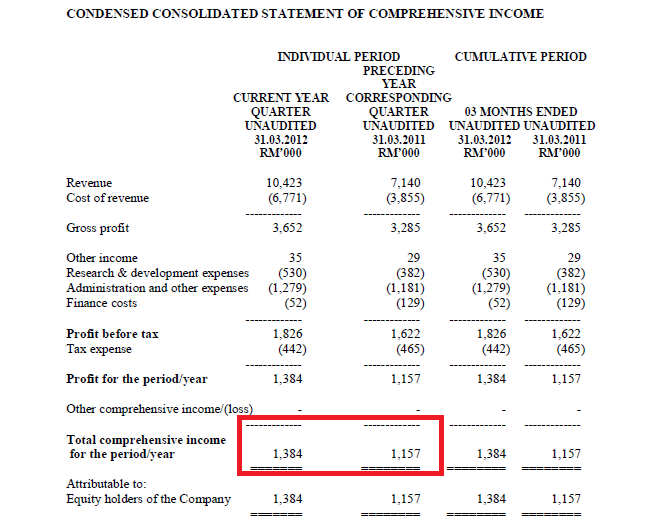 Net Profit will definitely improve by the stroke of some changes in accounting treatment. It is up to you to decide whether you will like this penny stock as it will be trading at 5x - 6x PE. Balance Sheet has already been cleaned. Its business is decently solid with income from the financial institutions and utility sector, although not fantastic growth, and it will still grow no doubt I should think. I suspect they will continue to have decent dividend policy although nothing concrete is announced by the management - at least not to the public like me. I should say, this is a much more palatable stock with market cap below RM30 million than some of the dodgy companies in the ACE market which have market capitalizations of more than RM100 million, if you search through what I have written about some of them. If however, you are looking for strong brand and industry excitement, Opensys is not for you though. This is a stock where no funds will notice, no analysts will cover - up to you! Hmmm...personally, I am just wondering is this permitted though.